Fr. Mactal is Prior of Santo Domingo Convent in Quezon City, Philippines. 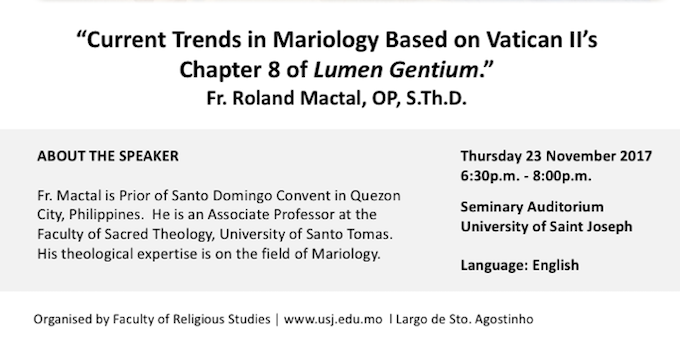 He is an Associate Professor at the Faculty of Sacred Theology, University of Santo Tomas. His theological expertise is on the field of Mariology.